❌Gardens may only be watered TWICE A WEEK between 18h00 – 19h00. 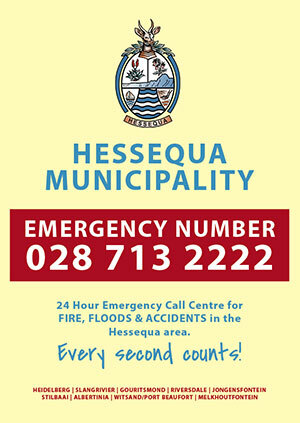 ❌EVEN numbered households may water their gardens on Mondays and Thursdays. ❌UNEVEN numbered households on Tuesdays and Fridays. ❌Water hoses may not be used without supervision. Hosing down of paving and cement surfaces are not permitted. ❌Washing of vehicles/boats/caravans will be allowed by means of a bucket. ❌All properties where alternative water resources are used, must ensure they display the appropriate signage. 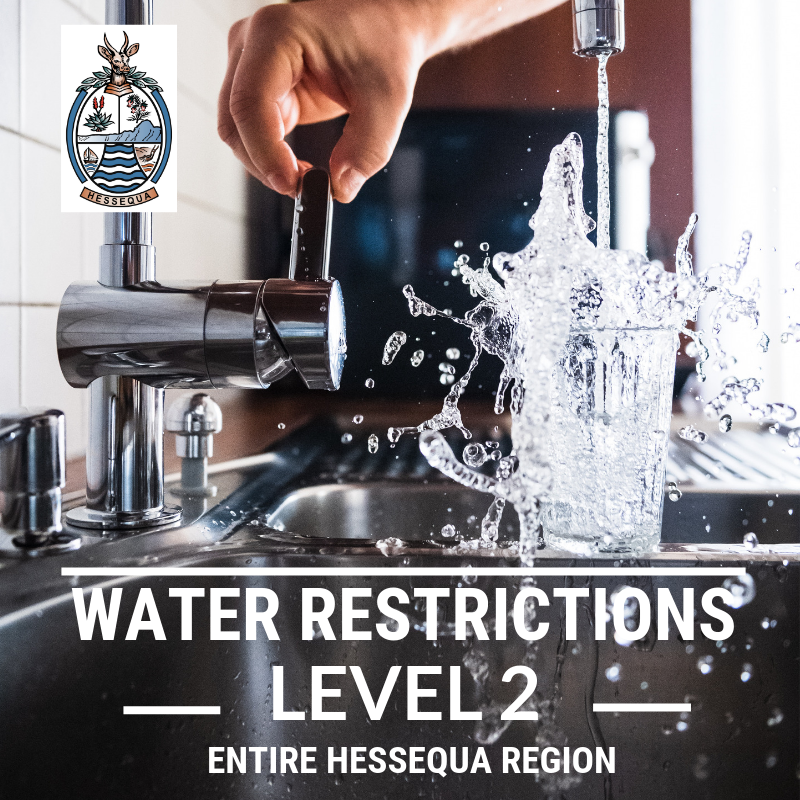 Level 2 Water Restrictions replace all previous restrictions applicable to towns within the Hessequa region.